I’m so over the Disney theme parks. Well, not really. But more than a dozen years as a Disney Vacation Club member does tend to change how one views the parks. When we purchased our first points in the fall of 2003, we had a 2-year-old son and a newborn daughter. 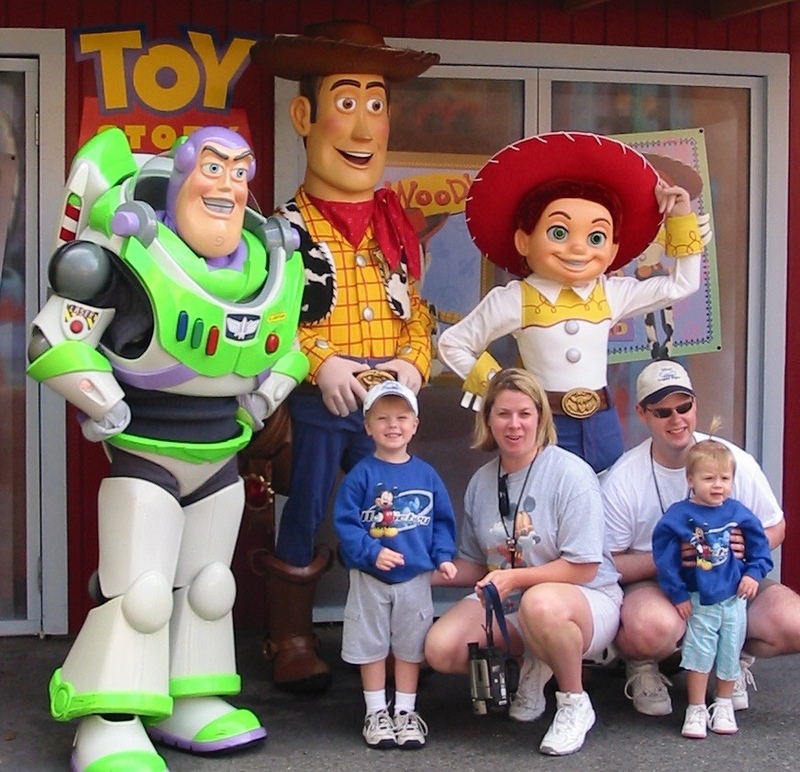 Our first trip to Walt Disney World as a family came a year prior, in the fall of 2002 when my wife was still pregnant with our youngest. We had so much fun that we returned just a few months later in January 2003—one of the benefits of having kids which were not beholden to school calendars. Incidentally, both of those trips saw us staying at Disney’s Old Key West Resort on points that we had rented from members. After the birth of our daughter in May 2003, we knew we would not return to Florida for a year or two. But attractive pricing on the still-under-construction Disney’s Saratoga Springs Resort & Spa convinced us to take the plunge. 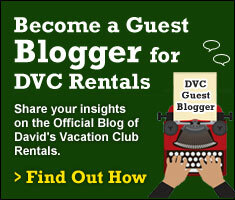 To purchase those first 150 points directly from DVC we paid—make sure you’re sitting down—just $79 per point. The deal was bolstered by a full 50-year contract which runs into the year 2054. This came at a time DVC had most recently sold points at Disney’s Beach Club Villas which featured only about 41 years of ownership, expiring in 2042. Beach Club fans may quibble with the decision but hey—12 years is 12 years. Our first visit as owners came in December 2004. Over the next 8 years we made no fewer than 15 visits to Walt Disney World, often squeezing 3 separate trips into a 12-month window to maximize the value of Annual Passes. Thanks to the generosity of some friends, we also experienced Disneyland for the first time and ended up purchasing some points in the Villas at Disney’s Grand Californian Hotel. That decision lead to 7 trips to California over a span of 6 years. All together, we’re talking more than 20 multi-day trips to Walt Disney World and Disneyland in 8 years. Now, I’m sure that doesn’t put us anywhere near the all-time record but it is a significant number—a number that would not have been achievable if not for Disney Vacation Club. But it also promotes some fatigue. I mean, how many times can you ride “It’s A Small World” without having to seek professional help? There is an economic concept called the Law of Diminishing Marginal Utility. Basically it states that the more of a product you consume, the less satisfaction you derive from its consumption. The first McDonald’s cheeseburger you ever ate may have been perceived as the greatest thing ever. By the 500th cheeseburger… not so much. This can easily be applied to Disney theme park attractions. “Soarin” gave me goose bumps the first half-dozen times I rode it. Being whisked into the air… the enormous screen filling your field of vision… the breeze… the scents… the soundtrack. But by the 25th time I’d ridden the same attraction in both Disneyland and Walt Disney World, the effect was significantly muted. Meanwhile life has a way altering your routine over time, changing—among other things—vacation habits. It is much harder to travel as kids get older than when they were younger due to school schedules. Disney’s “adult” pricing for meals and park tickets impacts spending. Between the complexity of our schedules, rising prices and somewhat reduced appreciation for many Disney attractions, we simply don’t find ourselves traveling to Florida or California with as much frequency as we once did. When we do, the parks are becoming more optional than ever before. In a few weeks, my wife and I are using our DVC points for a short adults-only getaway to Walt Disney World, but we have no plans to splurge on admission to the theme parks. At the same time, we are seeing more appeal in the off-site properties. Over our first 10 years of ownership, the non-park resorts were a complete afterthought. Through 2012, we used our points exclusively at the Walt Disney World and Disneyland hotels. Later this summer we have reservations for Disney’s Hilton Head Island Resort and it will be our 4th combined visit to Hilton Head and Disney’s Vero Beach Resort over a 3-year span. Why Hilton Head? Cost undeniably plays a factor (see my volleyball comments above.) The drive is manageable so there will be no airfare or rental car. Our DVC points pay for the room. We will stock the kitchen with groceries so meals should cost about the same as at home. No theme park tickets, no overpriced restaurant meals, no afterhours dessert parties. Admittedly there are economical ways to visit Walt Disney World, too. We have tried that, with mixed results. Theme park tickets are still the single greatest expense. Good luck spending a few days at a Walt Disney World resort, telling your teenagers that they cannot visit the theme parks. Remember that whole Diminishing Marginal Utility thing? Theme park tickets for a week would set us back around $1,500. I’m not convinced that repeat trips on “Test Track”, “Big Thunder Mountain Railroad” and “Haunted Mansion” are more worthwhile than $1,500 spent on… pretty much anything else I can think of. Here’s hoping Disney really goes all-out with Star Wars Land. But truly the primary reason for the change is variety. Right now, Hilton Head is mostly a mystery to us. It offers countless new and different experiences for us to sample. I have stayed at some Walt Disney World resorts so often that I can recognize when an end table is askew or when the brand of dishware in the kitchens changes. I’m sure some people appreciate that degree of familiarity, but I’m ready for new and different. 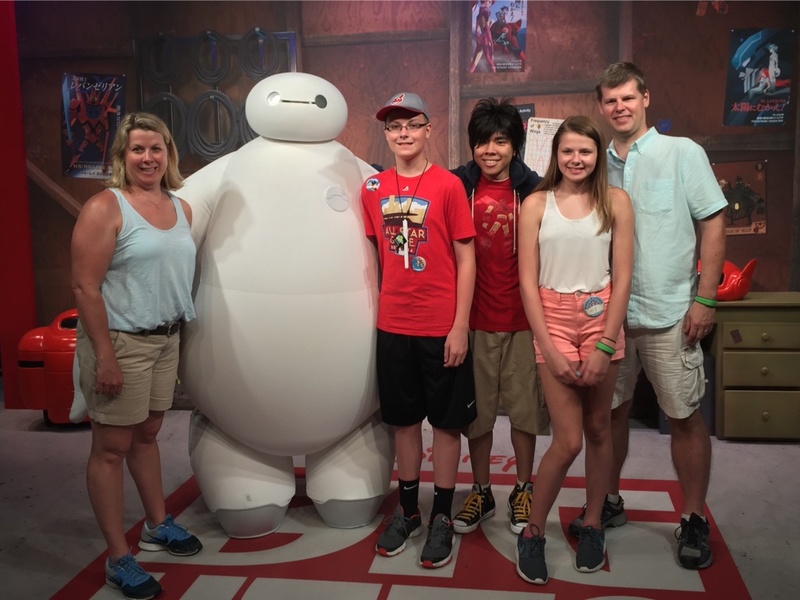 Don’t get me wrong: Walt Disney World has a LOT to offer. But over the years, we have done a pretty thorough job of exploring activities surrounding the parks. We’ve done several behind the scenes tours. We’ve attended the afterhours Halloween and Christmas parties. We’ve rented Sea Raycers and gone parasailing on Bay Lake. We’ve visited the waterparks, played mini-golf, watched Spring Training baseball, attended Star Wars Weekends, sampled virtually every character meal, tried pirate cruises, Community Hall activities and so much more. Someday I’ll get that 26th ride on “Soarin”, but for now I’d rather spend a day lounging at Hilton Head’s Beach House or rent a bicycle and explore the island. I want to walk along the beach with my family or send the kids on a kayak adventure. Resorts like Hilton Head, Vero Beach and presumably Aulani—which is also on my bucket list—are still Disney resorts but they are not overly…. “Disney”. The accommodations, resort grounds, activity programs and most other aspects still provide enough Disney touches to warm your heart. Upon returning from a visit to Disneyland or Walt Disney World, a common theme in our family has frequently been “I need a vacation to recover from my vacation”. All of the time spent traveling to and from the parks, walking through the parks, standing in lines and waiting for shows isn’t exactly conducive to rest and relaxation. The theme parks allow us to escape from everyday life. Perhaps places like Hilton Head, Vero and Aulani are best viewed as places we can go to recover from everyday life. Whatever one’s relationship may be with Disney Vacation Club—owner, prospective owner, renter—don’t discount the value of those off-site destinations. Fifty years is a long time to commit to using a product like DVC points. Family situations will change. Economic situations will change. And personal tastes will change over that time. We still enjoy the Disney parks, but our days of spending 3 weeks per year in a nearby villa have probably come to an end. 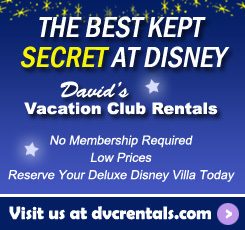 It’s comforting to know that Disney Vacation Club offers experiences which go beyond thrill rides and parades. 11 thoughts on "Disney Overload: What to do when the Magic Fades"
We have 3 children ages 7, 4, and 1. My 7 yr old has been to disney 20 times. These have been mostly 2 week trips and several 1 week trips. We do spend more time at the resorts now swimming and doing activities. I still enjoy the parks. But it is a lot harder with 3 kids than 1. I am guessing when the grandkids come it will begin all over again. We also have been going for over 30 years. The Magic never fades! We have been going for 30 years! You plan the next time you are visiting the magic. This guy totally hit the nail on the head! We almost exclusively spend our points in HHI. Try the Up the creek pub and grill after you do the ropes course! Best smoked wings ever! Be sure to eat at One Hot Mama’s while you are on the island.